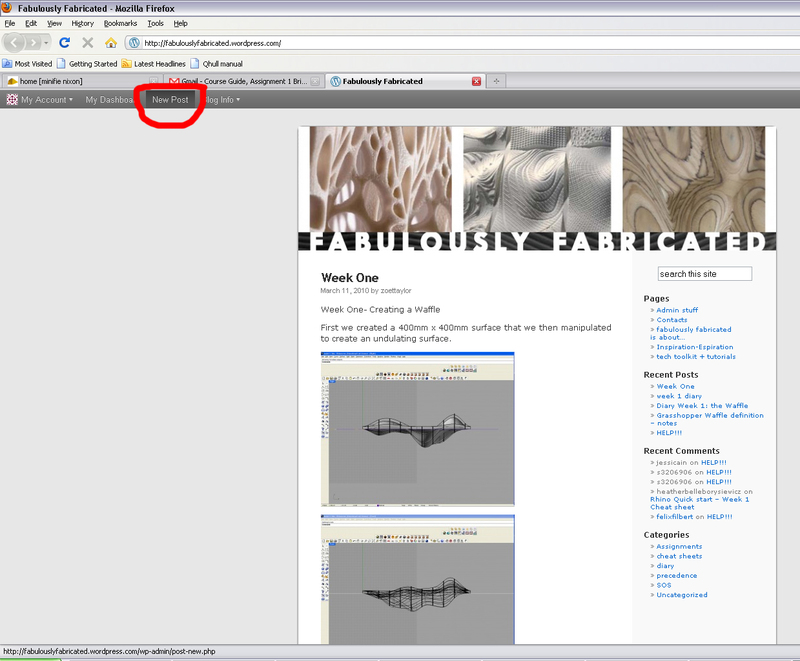 Look at the top grey bar – locate “New Post”. Click it. 2: Put your text and images into the main entry box. 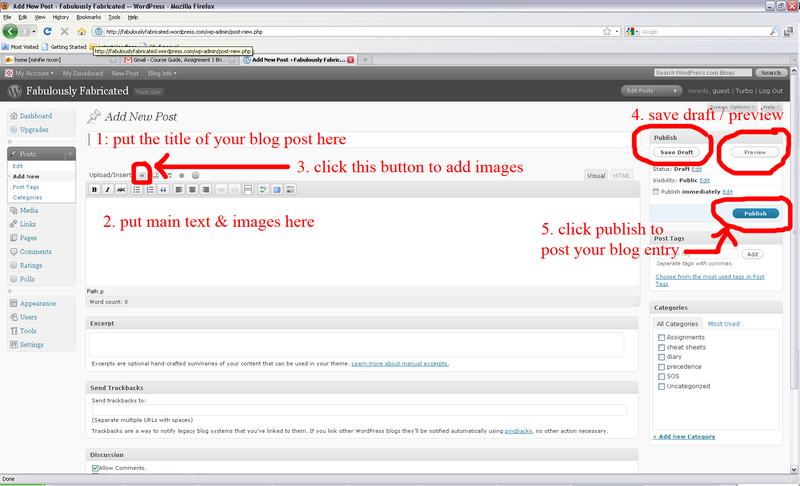 5: Click Publish – you can go back and edit your page after you’ve Published it. jess-in, hv you check my blog..? is that enough? must everything that we post about this communication design?